I ordered a Passionfruit Daiquiri but this honestly tasted like a smoothie and wasn't particularly exciting. Their signature dish is their 'Original Dirty Burger' so I thought I should go for that as i'm such a burger fanatic. It had pulled pork and cheese on it which are my absolute favourite things. However, I was pretty disappointed. The chips were extremely salty and the burger was quite chewy. The girls went for Crispy Coated Chicken Club Sub which they said were really good so maybe I chose the wrong thing. Now if anything was to make up for the meal it was my desert. Such a shame I was stuffed from my main as I really wanted to eat it all. Churros with melted chocolate and they came in a Chinese takeaway box which I thought was quite a novel idea. 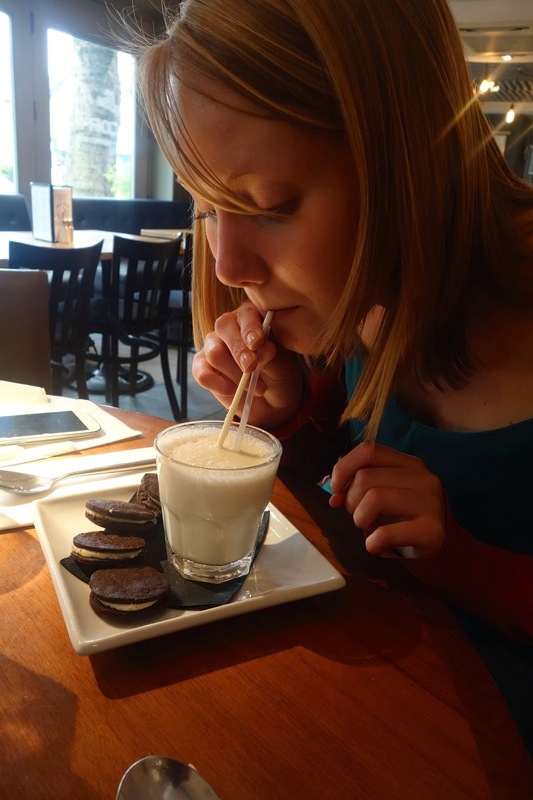 Rachel went for the homemade oreo cookies and peanut butter milkshake which she enjoyed. 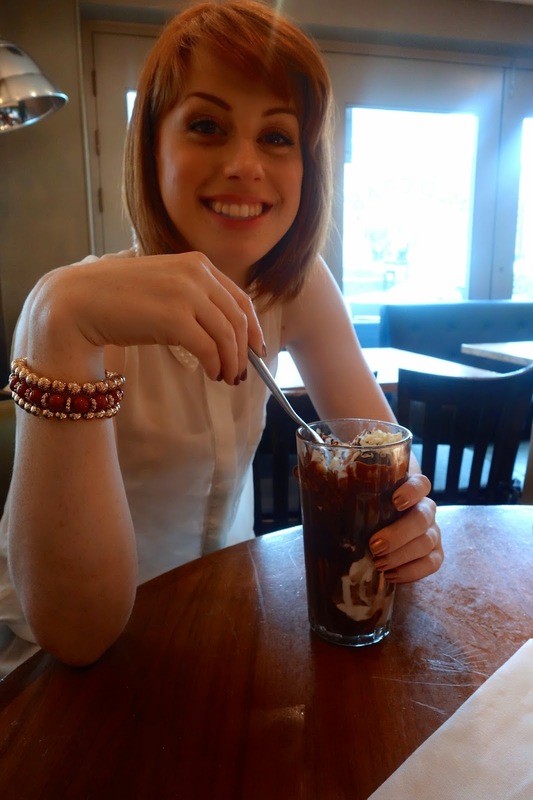 Zoe had the Chocolate Mud Sundae which she did like but it seemed like they'd just taken the glass straight out the freezer and was therefore rock hard, it was also more expensive than our deserts which I don't think made sense. There was a lot of trouble over the bill not adding up but that did end up being our fault. However, when we left we noticed it advertised it was 20% student discount rather than the 10% we were given. We unfortunately couldn't be bothered to go back in and complain as it took so long paying and we were in a rush. It makes me quite sad to write such a negative review but I just don't think it's worth the price. They do have a wide variety of food so maybe I should go back and try something else but it's not top of my list. I'm glad I've finally been though to put my mind at rest. If you want a really good burger in Sheffield definitely head to Bungalows and Bears on Division Street, I haven't been in ages and now I'm really craving one. Oh dear, it's such a shame when places don't live up to your hopes. Your blog makes me miss Sheffield and wish I got up there more often to spend longer than a few hours on a night out. I am definitely trying to appreciate it more as it does have it's good bits!